California State University of San Bernardino has a large number of international and out-of-town students. 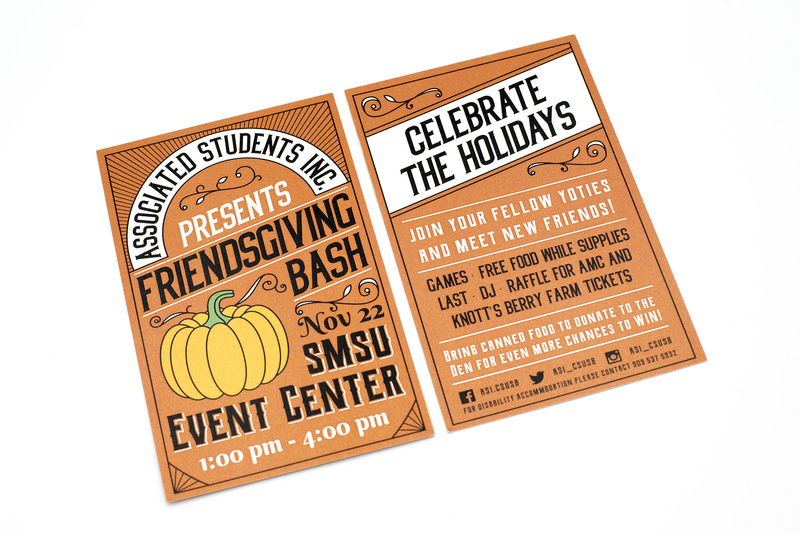 Not all of these students are able to visit their families during the holidays, so Associated Students Inc. decided to host a “Friendsgiving” party where students and their friends could share a thanksgiving meal together. 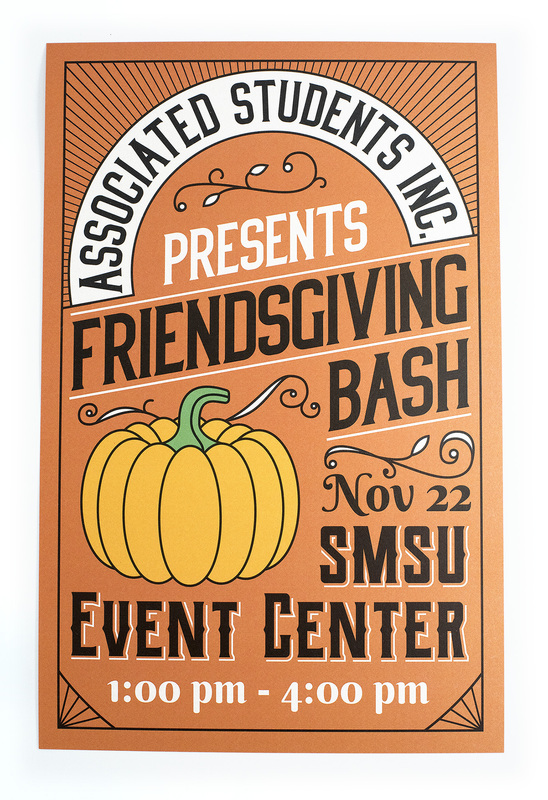 I designed the graphics in a festive typographic style, and had them printed on a champagne colored pearlescent-metallic cover stock, which gave the designs an elegant shine and shifted the whites to a more subtle and attractive off-white. 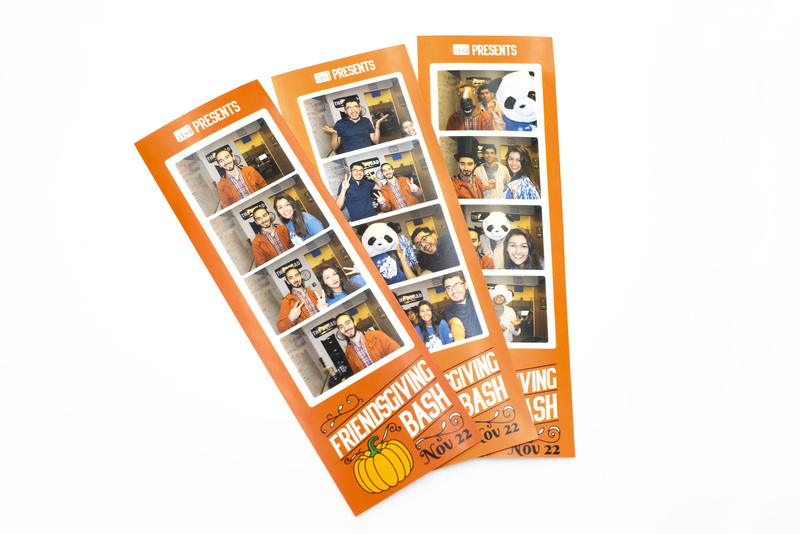 I also designed a photo strip frame for the event’s photo booth, so students could have a fun keepsake from the event. Photo strips I designed for the event’s photo booth. Me and my coworkers had some fun while testing the booth in our office.